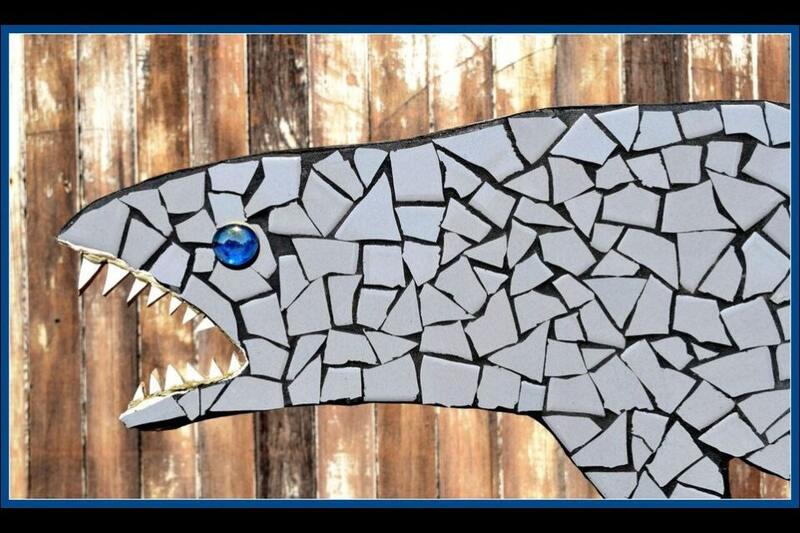 The tile mosaic Shark is a fun adornment to any yard. 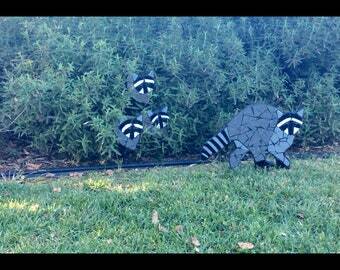 This sculpture is 4 feet long, has real tile teeth and a glass eye that stares at every move you make. Shark sculpture is made with marine plywood back, foam core to make them light and water resistant, bolts go through the front before being tiled over in order to have the bolts in the back mount to the steel square tube. These one of a kind sculptures work well year-round in a landscaped bed, near a swimming pool location, near a woody area – almost anywhere you want to add interest and character to your outdoor environment. The shark is my number one comment maker. I see the customers’ eyes go up and the finger point out and the words come out “Oh, look at the Shark, how cool” then the kids run up and pull on the teeth….no worries he won’t bite. The mosaic tile shark is 48 inches long, weighs approx. 15 lbs and comes with 2 steel posts to mount into the ground. ships in a wooden crate.